Connecting Healthcare – Chat, Capture, Consent. 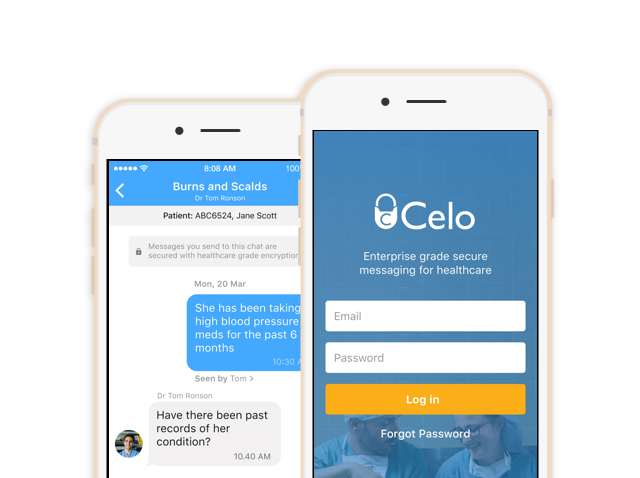 Celo supplies healthcare compliant secure messaging available on both Android and iOS. Connecting healthcare professionals wherever they are, this medical product is secure, efficient and intuitive. Celo’s messaging center enables healthcare professionals to engage in 1-1 discussions and to create custom group chats to communicate with team members effectively. Colleagues can send messages and share images with each other, instantly. Messages display date and timestamps and track whether the communication has been received and read and group members are notified when they have a new message. 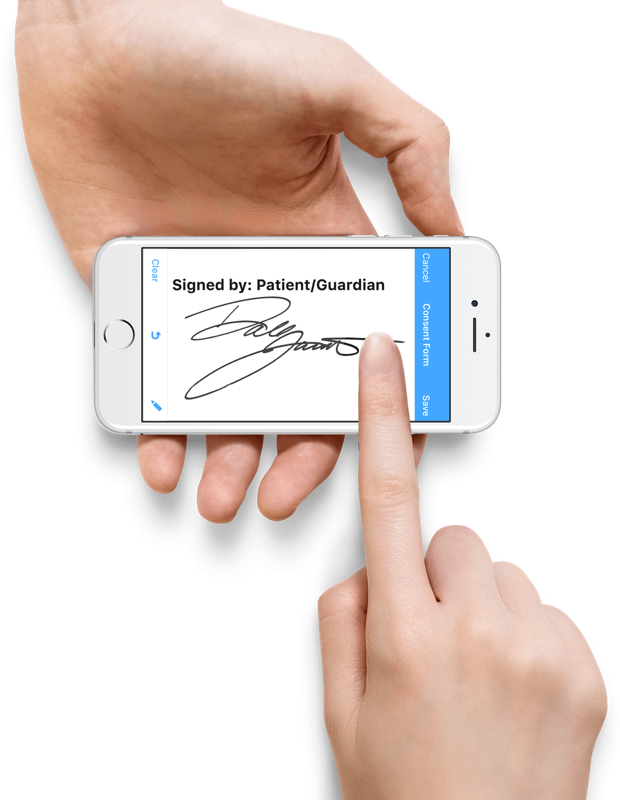 Celo eliminates the inefficiencies of printing contracts and arranging the patient’s signature on paper with the in-app sign on glass technology. Patient consent can be capture on screen and stored in their records seamlessly. The sign on glass technology speeds up the permission process and ensures compliance records are safely maintained. Celo authenticates all users off this app, ensuring the platform access and directory of professionals is set to specific organisations, health boards and medical units. The directory contains all the professionals in a certain network, displaying each with a profile image, job title and department, contact details as well as whether he or she is currently on call. Capture patient images using the secure Celo in-app camera function and share these with colleagues for referral and advice and store these safely within the patient’s files. This enterprise grade, medical platform aids the transfer of confidential patient data, securely.